The premium pallets bags are exclusively designed to instill the kinetic items in one place as you shrink wrap them. 40 x 36 x 72"
52 x 48 x 60"
52 x 48 x 78"
52 x 48 x 90"
Items that have wheels or have irregular dimensions are extremely difficult to handle. If you are also a person who is troubled with the concept of preparing a product with odd dimensions, we bring you these wonderful pallet bags. Choosing a pallet bag is simple! You should select a bag that can house your product and then install the bag over the top of your vehicle or product. 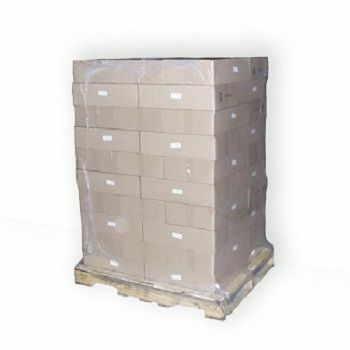 This means that these pallet bags are perfect for shrink wrapping items with skids. Once you tuck your skidded products in these pallet bags, you can shrink wrap them properly, by heating the bag and completely covering your odd item.